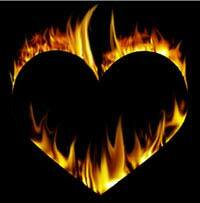 There are many theories as to a potential underlying heartburn cause. Most center around the function of the lower esophageal sphincter (LES) valve which is located at the junction of the esophagus and stomach and is supposed to prevent stomach contents from refluxing into the esophagus. Normally, the valve opens for only a few seconds when you swallow. In short, the heartburn cause is from stomach contents, including stomach acid, bile salts, and pancreatic digestive juices causing severe irritation when they come into contact with the lining of the esophagus. Certain foods may relax the valve so that it does not close as tightly, making reflux more likely. These foods include chocolate, onions, peppermint, coffee, high-sugar foods, and possibly high-fat foods. Alcohol, tobacco (nicotine), and some medicines can also relax the lower esophageal sphincter, contributing to the heartburn cause and effect. Other foods, such as spicy foods, tomato and citrus products, don't actually relax the valve, but will cause heartburn symptoms to worsen if the esophagus is already irritated. Having an overfull stomach from eating a very large meal increases the chances that the LES will relax and allow stomach juices to reflux. Having slow digestion. If food stays in your stomach too long before it goes to the small intestine (called delayed gastric emptying), the stomach contents are more likely to get pushed up into the esophagus and become a heartburn cause. Hormonal changes due to pregnancy. The LES may not close as tightly during pregnancy because hormonal changes cause the digestive system to slow down and increase abdominal pressure. Having a weak lower esophageal sphincter or a Hiatal hernia. Symptoms in these people can vary from mild to severe. There are too many variables in digestion to lay blame on any one heartburn cause - only you and your physician can make that determination.